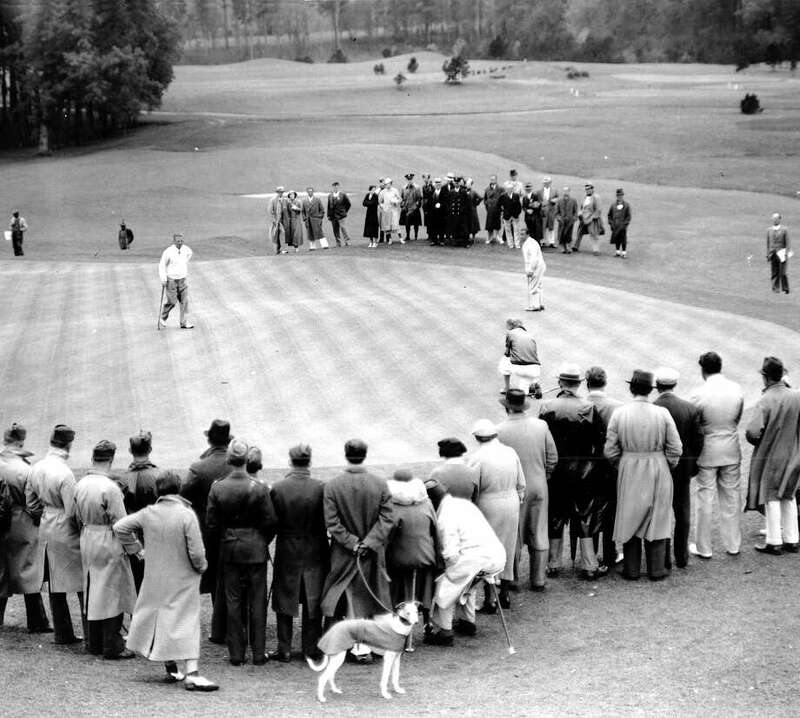 >> Take a look at how golf evolved from its beginnings to today across all of Fairfield County. Visit Fairfiled Museum & History Center for more information. "Fairfield's Fairways: 120 Years of Golf" is the theme of a new exhibit opening June 11 at the Fairfield Museum and History Center. The exhibit, which runs through Oct. 4, offers a historical perspective on the game, highlighting Fairfield's golf courses, their founders and designers, the tournaments they've hosted, and the great players to emerge from the local links, according to publicity for the event. Over the years, Fairfield's fairways have produced numerous golfing golfers, including internationally known players Julius Boros and Gene Sarazen, Brooklawn Country Club's Georgianna Bishop who won USGA Women's Amateur title in 1904, and current PGA Tour player J.J. Henry and former LPGA champion Heather Daly-Donofrio. The opening cocktail reception, set from 6 to 8 p.m. June 11, will also include the presentation of the Fairfield Cup, awarded to the winning team of club champions from Brooklawn Country Club, the Country Club of Fairfield, the Patterson Club, H. Smith Richardson or Fairchild Wheeler, who will play a 27-hole competition earlier in the day (nine holes at each of the three private clubs). Brooklawn Country Club -- Jim Fatsi, head golf professional; Mike Hooper, men's champion runner-up; Ellen Delucia, women's champion, and Peter Donnelly, men's senior champion. Fairfield Museum and History Center, in conjunction with its "Fairfield's Fairways: 120 Years of Golf" exhibit, will host Tuesday programs throughout the summer promoting golf to children and young adults. Visitors will be encouraged to try for a hole-in-one on Fairfield Museum's mini putting green in the museum lobby. The program will also include scavenger hunts in the golf exhibition, contests and prizes. Tee-It-Up-Tuesdays, which are free, will take place June 30, July 28, Aug. 25 and Sept. 29. Country Club of Fairfield -- Dave Renzulli, head golf professional; Owen Foote, men's champion; Erin Russell, women's champion, and Peter Murphy, men's senior champion. Patterson Club -- Chris Kenney, head golf professional; Brad Pratt, men's champion runner-up; Jayne Hynes, women's champion runner-up, and Roger Tarika, senior men's Champion. H. Smith Richardson -- Jim Alexander, head golf professional; Frank Geiger, men's champion runner-up; Jo Rasmussen, women's champion, and Tim Dailey, men's senior champion. Fairchild Wheeler -- Stephen Roach, head golf professional; Craig Amaral, men's champion; Lisa Fern-Boros, women's champion, and Bob Feinstein, senior men's champion. Tickets to the opening reception are $65 each and available at https://fairfieldcup.eventbrite.com. "Golf has deep roots in Fairfield, going back to the 1890s, when the sport was just becoming a national obsession," Elizabeth Rose, the Fairfield Museum's library director, said in publicity for the event. The Fairfield Museum and History Center is at 370 Beach Road. For more information call 203-259-1598 or visit www.fairfieldhistory.org.